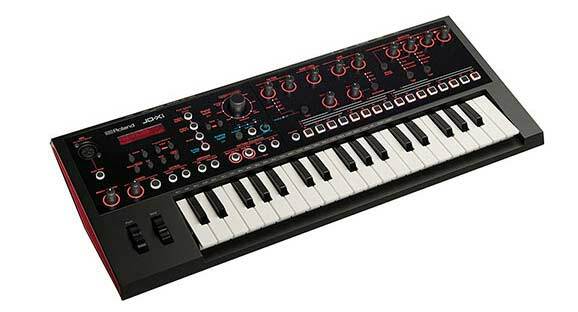 These are the best analog synths under $500. Offering two oscillators, the monotron DUO adds an extra dimension, delivering an even more extreme sound. Tune the oscillators in unison for a rich, thick, analog tone. Tune them in intervals for classic soloing sounds and generating new effects. MiniNova is a compact, super-cool studio and live synth with the same sound engine as its big brother, UltraNova. It comes with 256 incredible onboard sounds that you can tweak with five knobs, or totally warp with eight ‘animate’ buttons. It has up to 18 voices with as many as five synth effects on each sound. MiniNova also has an onboard VocalTune effect as well as a classic vocoder so you can recreate iconic vocal sounds from hip hop, urban and electronic music. 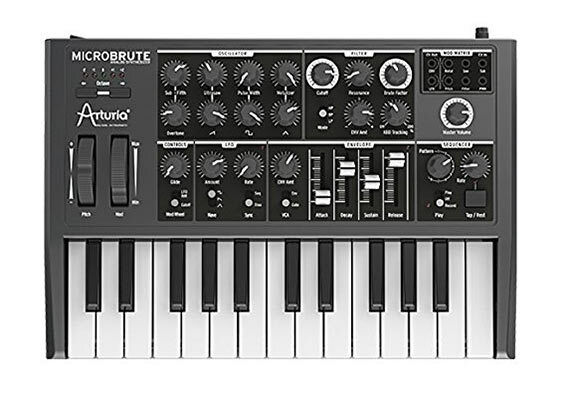 MicroBrute is a pure analog sonic powerhouse of a synth. Small in size but loaded with features. Packed with mixable waveforms, a new sub-oscillator design, the famous Steiner-Parker multimode filter, a super-fast envelope, a syncable LFO. Analog and digital, crossover synthesizer condensed two different sound engine in a compact body. JD-Xi was equipped with the analog circuit and the INTEGRA-7 equivalent SuperNATURAL synth sound source, analog / digital crossover synthesizer. 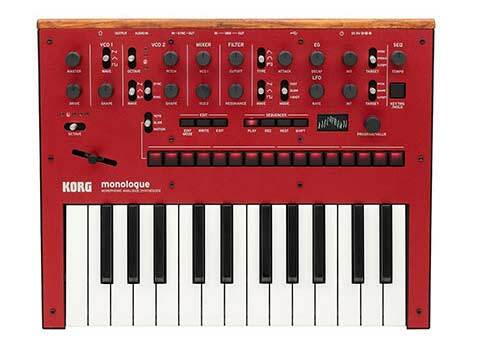 Korg didn’t just bring back the MS-20; they didn’t just shrink it down either. 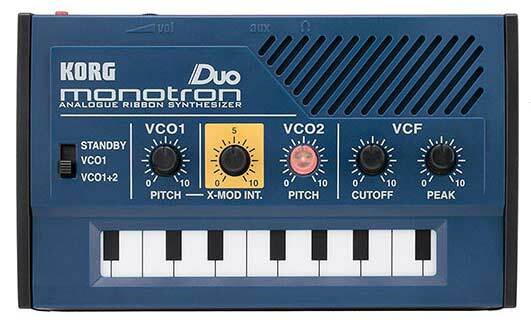 When Korg created the MS-20 mini synthesizer, they totally upped the anti. 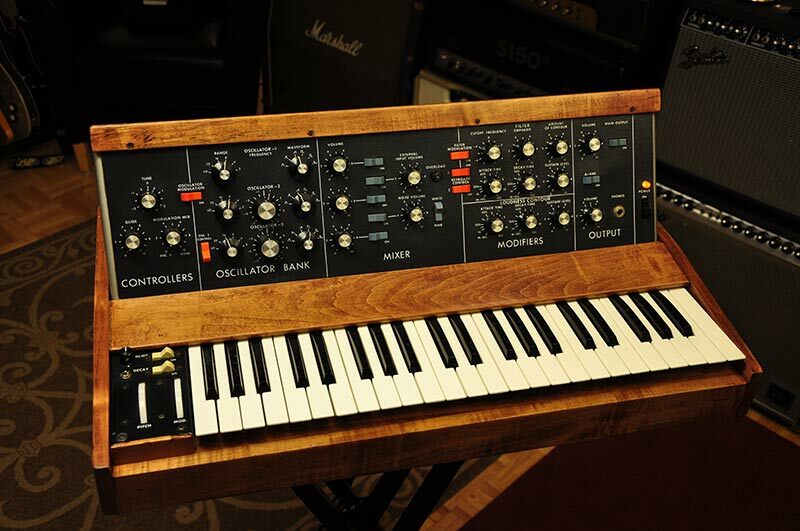 They started by turning to the same pair of genius engineers who created the original back in 1978 who meticulously rebuilt the MS-20 component by component, keeping it as true to the original as possible, while making minor tweaks where they felt necessary. With the minilogue, you can get your hands on the powerful sound that’s only possible with real analog, and find inspiration with features including a polyphonic step and motion sequencer, on board tape-style delay, multiple sound shaping and filter options, and an oscilloscope display. 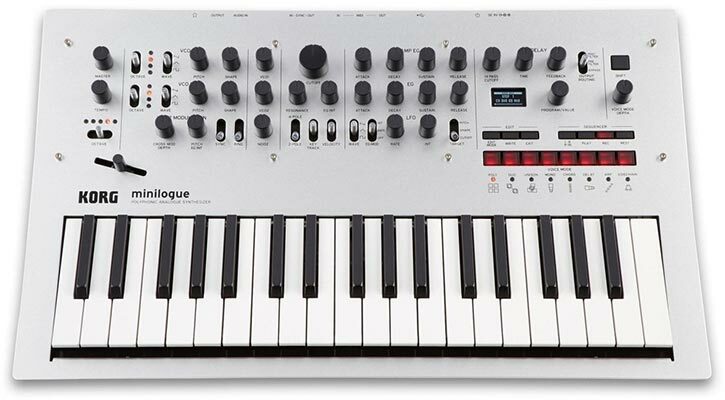 All of these seamlessly integrated features make minilogue as fun and easy to use as it is powerful. It’s the next-generation analog synthesizer for musicians of all types.